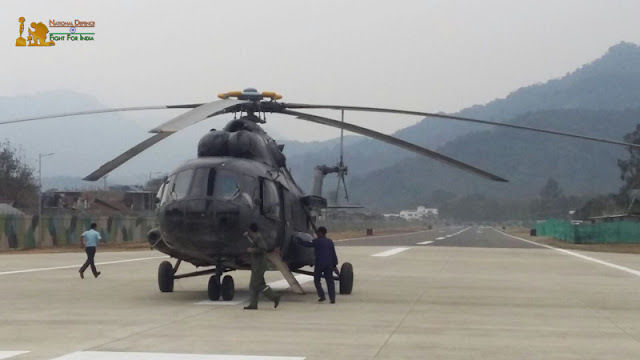 Upgraded Advanced Landing Grounds at Ziro and Along in Arunachal Pradesh boost IAF Capability Multifold vis-a-vis China. The operational capability of the Indian Air Force vis-a-vis China got a major fillip with the re-launching of two upgraded Advanced Landing Grounds (ALG) at Ziro and Along in Arunachal Pradesh on Saturday. “The ALGs will further enhance our existing operational capabilities in Eastern Air Command.” Air Marshal C Hari Kumar, Air Officer Commanding-in-Chief, Eastern Air Command said during the inauguration at Ziro ALG. “The capacity build-up will enable operations by some of our new inductions including the C-130J Super Hercules,” he also said. “Besides enhancing air maintenance capability of the IAF in the region, the new airfield will also facilitate civil air connectivity soon,” the Air Marshal also added. 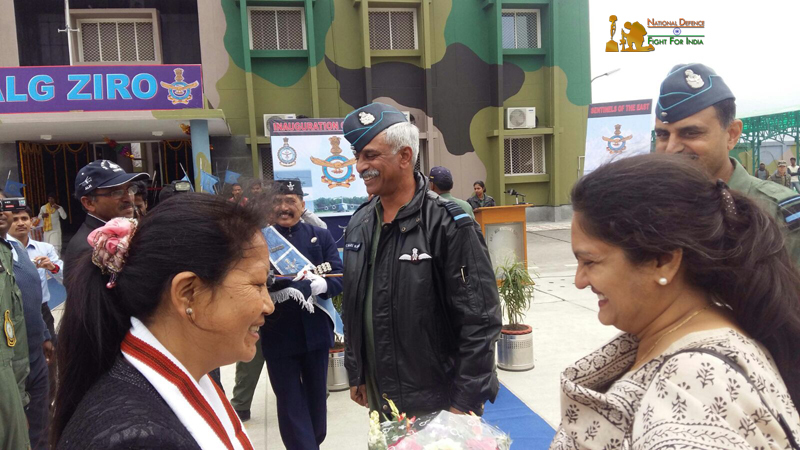 The Air Marshal also inaugurated the ALG at Along on Saturday. It may be recalled that Vayudoot Airlines once operated from Ziro airfield in the mid-eighties. Subsequently, the IAF has always operated a flying detachment from the ALG at Ziro for air maintenance purposes. 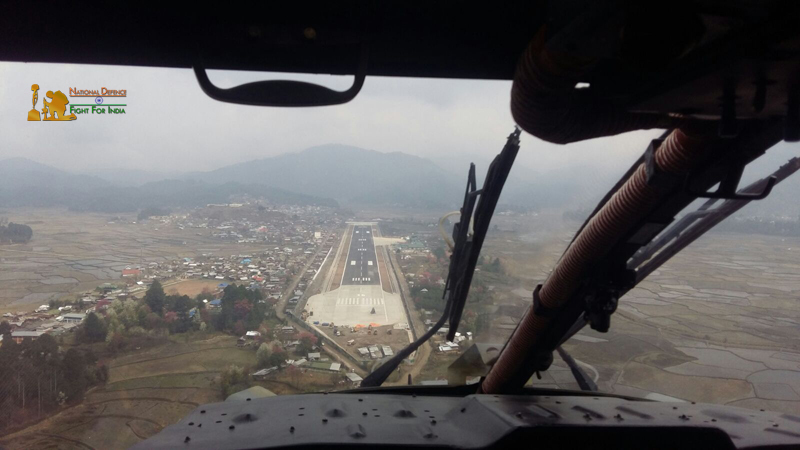 The runway surface at Ziro saw a steady deterioration over a period of time due to lack of maintenance and other issues. Encroachment due to absence of a security wall further added to the declining status of the airfield. There was, however, always a need to connect the beautiful valley of Ziro with rest of the country by air, for tourism as well as other purposes. 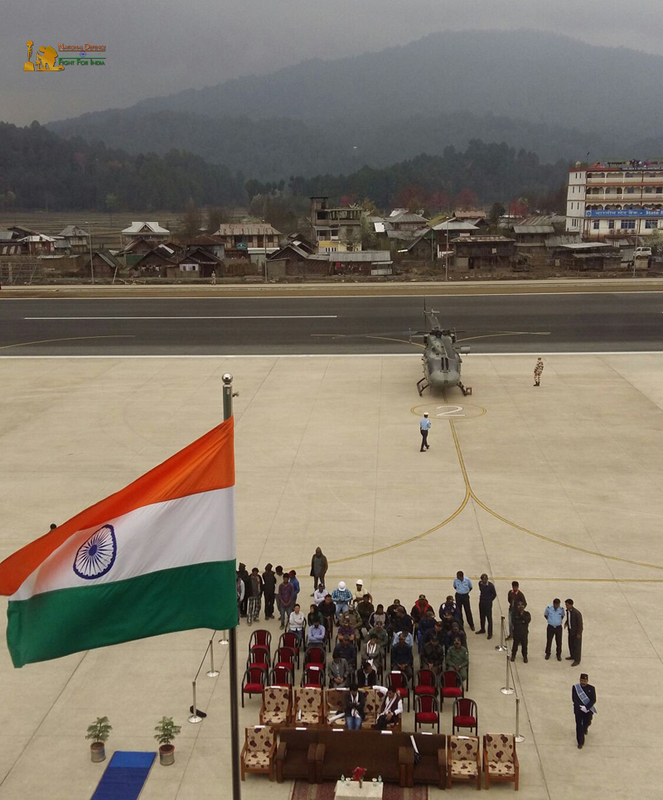 The IAF took over the Ziro airfield from AAI in August 2010. Consequent to the CCS approval in June 2009, the IAF embarked on an ambitious reconstruction plan to upgrade the existing eight ALGs, including infrastructure development at certain airbases in EAC’s area of responsibility. The ALGs for upgradation include Tuting, Mechuka, Along, Tawang, Ziro, Pasighat, Walong and Vijaynagar in Arunachal Pradesh. The outlay plan for the upgradation of ALGs alone is nearly Rs. 1,000 Crore. The ALG at Along prior to the upgradation was partly paved, partly grassy, and duly reinforced with perforated steel plates. 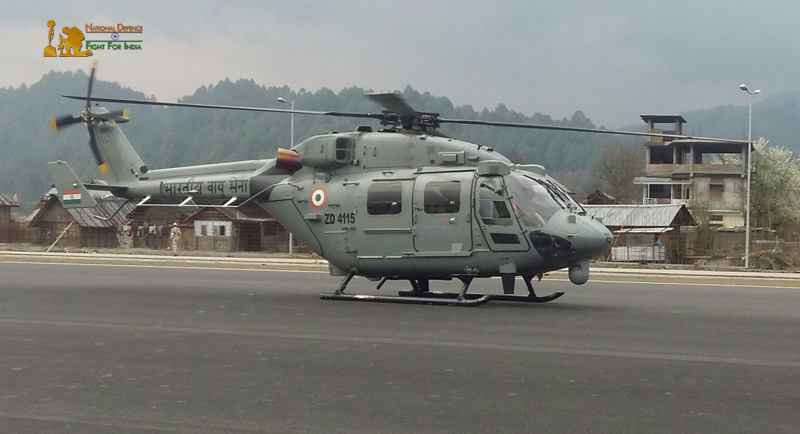 Besides IAF, which operates all year round, Pawan Hans also operates helicopters from here during non-monsoon periods. 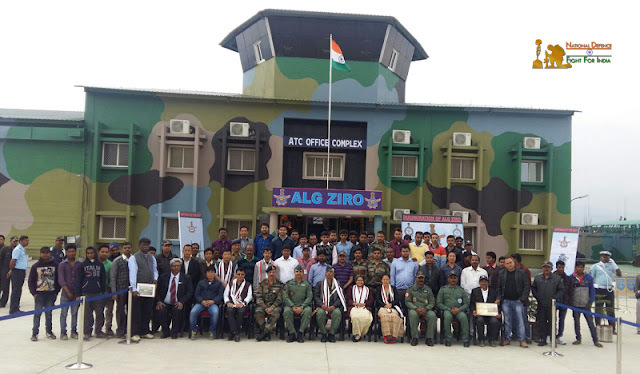 With the inauguration of the ALGs at Ziro and Along, altogether three ALGs have since got upgraded with paved runway surfaces and other facilities such as aprons for ground manouevring, Air Traffic Control tower with associated infrastructure including perimeter road and a security wall. The new runway surfaces and other infrastructures are being built to the exacting standards for any other modern airfield in the country. Runway length and width, wherever feasible, has been extended and will enable ATR class of fixed wing operations in most of the ALGs. Earlier, the ALG at Walong was inaugurated in October last year. The construction works under Chief Construction Engineer (North-East Project), closely monitored by HQ EAC began in 2013, and an Apex Steering Committee (ASC) under the chairmanship of Vice Chief of Air Staff monitors the progress of all the North-Eastern Projects. Three more ALGs – Mechuka, Pasighat and Tuting are scheduled to be inaugurated in the next three months. The ALG project at Tawang, which was taken up only in 2014, is ongoing and is expected to be ready by September this year. The commencement of upgradation of ALG at Vijaynagar, meanwhile, is expected to take much longer as there is no proper road connectivity from Miao to Vijaynagar for carrying materials, machinery and manpower. The issue has been taken up at the appropriate levels by IAF authorities with the Government of Arunachal Pradesh for an early resolution.